Friends, February was a hard month. It probably doesn't seem that way since I've managed to post more this month than I have all of sophomore year so far, but, this month destroyed me. My Choir Squad! 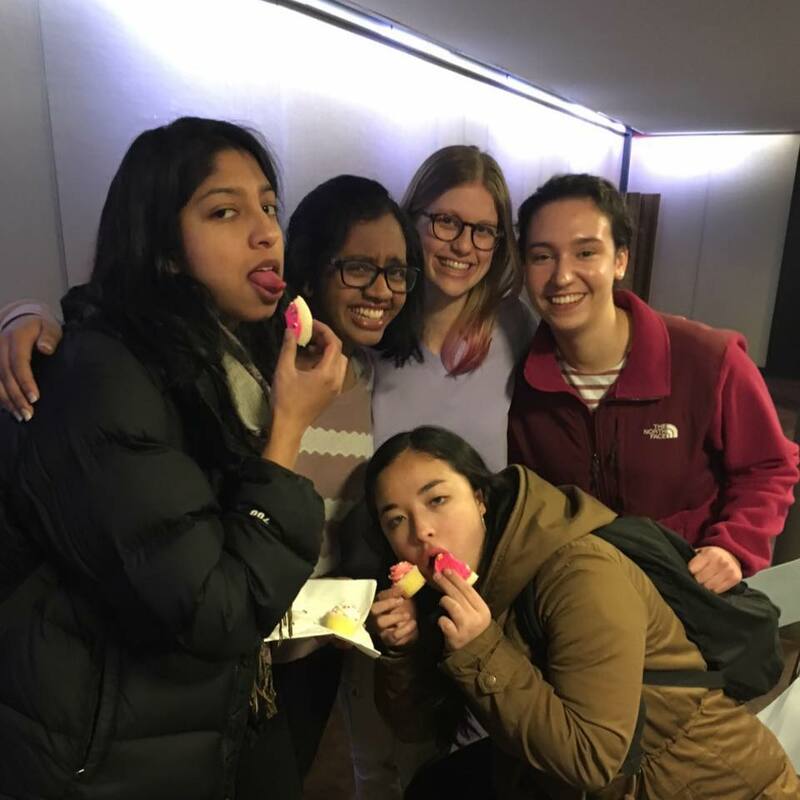 We're not ice skating but we are celebrating Choir Valentine's Day! 2. I went to a real adult party! A friend of mine who graduated early, last semester, is now living and working in Boston. She invited me and a few of our other friends over to her house on a Saturday night and I felt incredibly adult having to hang my coat in a real closet and walk through a city to get to an apartment. It was a really great night. 3. I’m finding this semester to be really tough. It’s been academically challenging, of course, but that I expected. What I didn’t expect was to feel as overwhelmed as I currently do. If I’m not in class I’m working one of my three jobs and if I’m not doing that, I’m attending e-board meetings or choir rehearsals. I rarely see my best friend during the week and the weekend doesn’t seem like enough time to relax, catch up with my friends, and somehow find the energy to go for a party or simply stay up and not crash into my bed. Anyway, this has been a tough month but…I’m hoping it gets easier from this month on. The Dark Days Club (Lady Helen, #1) by Alison Goodman. I adored this book! I can get lost in Goodman’s words of Regency Era any day, not to mention a combination of her originality and slow-burn romances always have me weeping on the floor. Anyhow, this was fantastic. If you haven’t already, you can read my review of it HERE. My review of The Dark Days Club because I absolutely adored this book! You can read it HERE. Umm, Spring Break! Duh! I not only get to lie on my giant queen bed for an entire, glorious, seven days but I also get to eat homemade Indian food and make brownies and hug my mom! How was your February? I want to hear all about it in the comments below! Oh sounds like a good month even though it was a hard one. March already??? 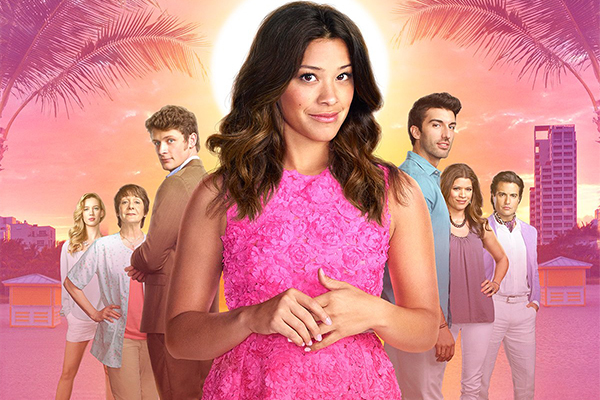 I have to admit I avoided Jane the Virgin because it just sounded like it played into bad stereotypes but I'm glad to see that I was wrong. Might have to try it now. Jane the Virgin is so much fun! I'm also still in the first season. I think I'm #TeamRaphael but not strongly. I remember those times in college when I had my waking life scheduled down to the hour, even half-hour. Good luck! And enjoy your spring break! I really really want to read The Dark Days Club; hopefully I can soon. Woah sorry things have been crazy busy for you Keertana, but Spring Break is just around the corner and then you'll finally be able to relax! And despite life being super busy, I'm glad you're able to squeeze in some fun there. I'm currently binge watching Once Upon a Time, but as soon as I'm done I may have to give Jane the Virgin a go! Oh, and here I thought that you are not so busy in real life as before, because you managed to post more. It looks like you have to jungle a lot, so I can understand your lack of energy. Glad to hear you still managed to find time to have a great time with your friends. Good luck with all your goals and plans, Keertana! My life was pretty hectic too. I actually was MIA from blogosphere for almost a month. Somehow I missed your review on The Dark Days Club, I’ll check it out.